Welcome to the Court of Appeals. The Court of Appeals is the branch of the Oneida Judiciary with the responsibility and authority to review decisions of the Oneida Trial and Family Courts, and original hearing bodies, such as the Personnel Commission, Oneida Land Commission, as well as other deliberative bodies of the Nation. In reviewing cases appealed from these bodies, the Court of Appeals considers the reasons and laws asserted by the appellants for appeal, the record of the court or original hearing body, which includes the transcripts and briefs of the parties, and then renders the appellate decision. The Court of Appeals can affirm the decision, remand it for further fact-finding, or reverse it. The decisions of the Court of Appeals become precedent, when applicable, for other cases that come before the Oneida Judiciary. There are five (5) Appellate judges; the Chief Appellate Judge, who works full-time and four (4) part time Appellate Judges. All judges are elected by the Oneida General Tribal Council and terms expire on a rotating basis. 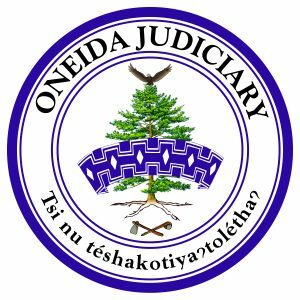 All judges meet stringent qualifications as set forth by the Oneida General Tribal Council and receive applicable training as prescribed by the Oneida Judiciary law. How Can I Get a Waiver to the Filing Fee?